The name Bremer Goldschlägerei is still a reminder of the origins of the company. 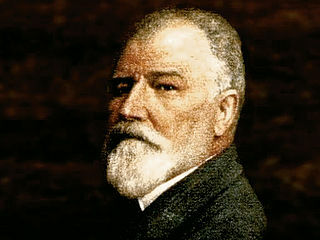 The revolutionary idea of using special filling gold produced using the rotation method for dental restoration instead of beaten gold fillings made dentist Dr. h.c. Wilhelm Herbst famous and earned him an honorary doctorate. From these beginnings developed a company which proved extremely successful within the dental industry. Today, tradition and pioneering spirit are still both an incentive and an obligation for management and employees. With the new company building at the University Technology Park which was occupied at the end of 1994, BEGO showed that, even in highly challenging times, faith in the future is the driving force behind innovation. BEGO have set a new course in order to satisfy customer’s needs with outstanding products and services. If one wishes to make the future possible, one make decisions today which will determine the success of tomorrow. In over 100 countries, the name BEGO stands for highly-developed and high-quality products. 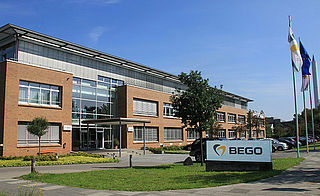 BEGO is a globally-operating medium-sized company with an outstanding reputation within the dental industry. Equipment and materials "Made by BEGO", the proven BEGO system und BEGO know-how are synonymous with top-quality products which combine safety and reliability. BEGO and their employees are committed to the well-being and health of the patient. The basic principles which govern the company''s philosophy and culture form the foundation for the new BEGO: Working together for success. Making the future possible together.